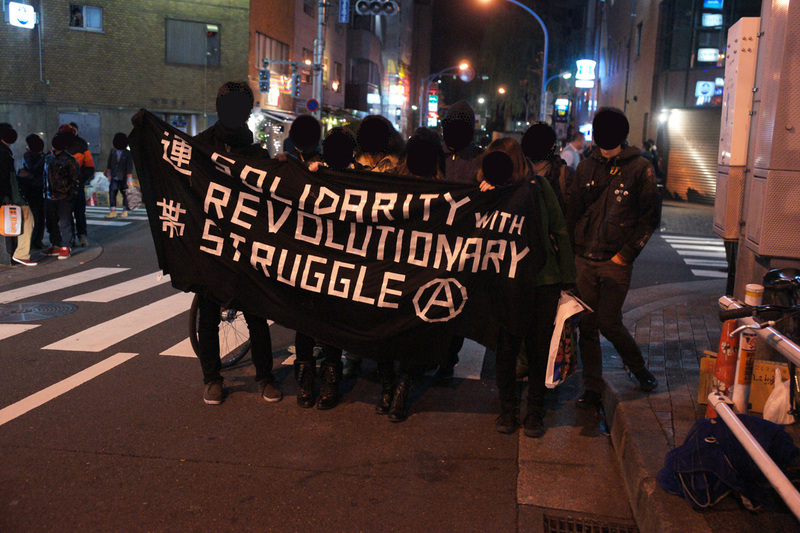 Around 30 solidarians gathered at the solidarity event which took place on November 24th 2012, called by the initiative of solidarians in ‘IRA’ anarchist infoshop (Irregular Rythym Asylum) in Tokyo, Japan, responding to the international call for solidarity to the case of the Revolutionary Struggle. 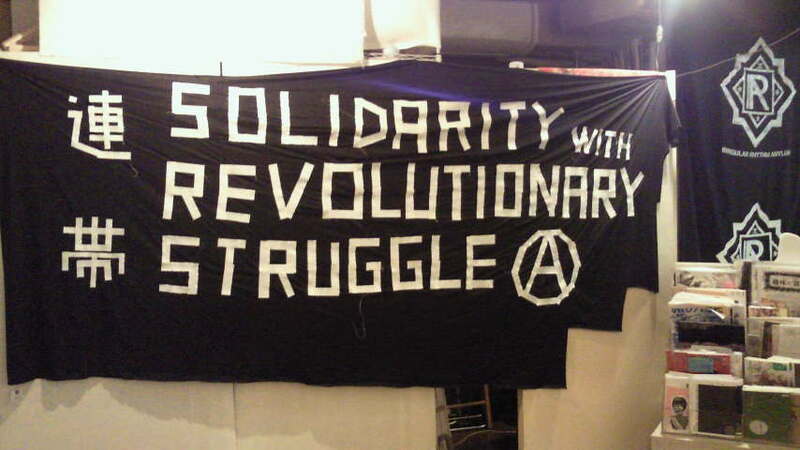 There was a presentation and information about the case, but also a wider discussion about armed struggle. 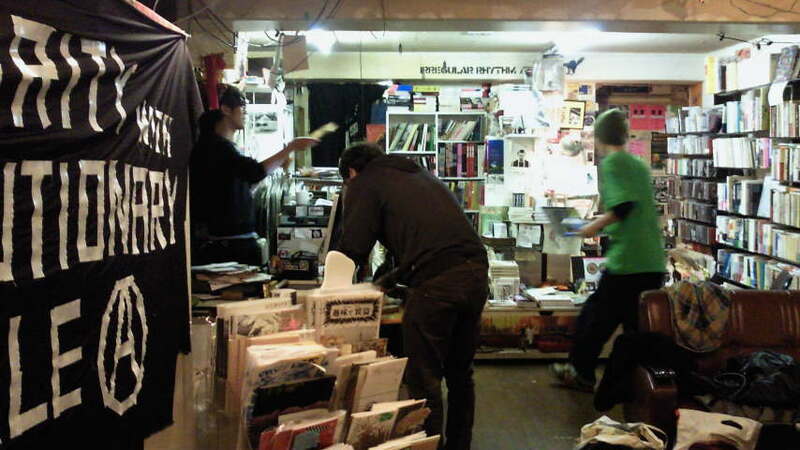 The photos are from the steki, anarchist infoshop just before the beginning of the event, as well as outside the central station in the Shinjuku area where the solidarians moved, after the completion of the event, with the banner and chanting.